If you’re reading this, you’re likely passionate about genetics. Now if I ask which of your passions cause you to donate money, some of you might say public radio and the Sierra Club. Or Doctors Without Borders and Amnesty International. Or World Vision and Habitat for Humanity. But my guess is your answer won’t include the professional organization that supports our field—the Genetics Society of America. How do we convert your passion for genetics into passion for the GSA? In 2006, the GSA had 2,400 regular members, the category that includes PIs and staff scientists. Since then, the trend has been steadily albeit slowly downward. Total membership is up over this timeframe—to over 5,000—because the numbers of grad student, postdoc, and undergrad members have risen; they collectively comprise more than half our membership. Trainees join to attend GSA-sponsored meetings, but the decline in our regular membership means they largely don’t stay in the Society after their training ends. Why would anyone join the GSA as a regular member and stay in it year after year? And not just the GSA, but why join any scientific society? That is the question every such society is asking. Because you don’t need to belong to publish in or access a society’s journals, or to read its blog or Twitter feed or Facebook posts. You generally don’t need to belong to benefit from a society’s education materials or professional development activities or advocacy efforts. You might join to attend a conference or get a registration discount or present a poster, but why not sign up for that single year and then let your membership lapse? Academics of a certain age might say we joined a society as our initiation into full membership in our discipline. Indeed, some scientific societies required their youngest members to come recommended by elders in the field, like an English gentlemen’s club of the 19th century. But nobody of my acquaintance sports a bowler hat, and maybe in a few years I might have to say that none sports a GSA membership either. Are scientific societies doomed to go the way of Blockbuster Video, TWA and Polaroid? I hope not. 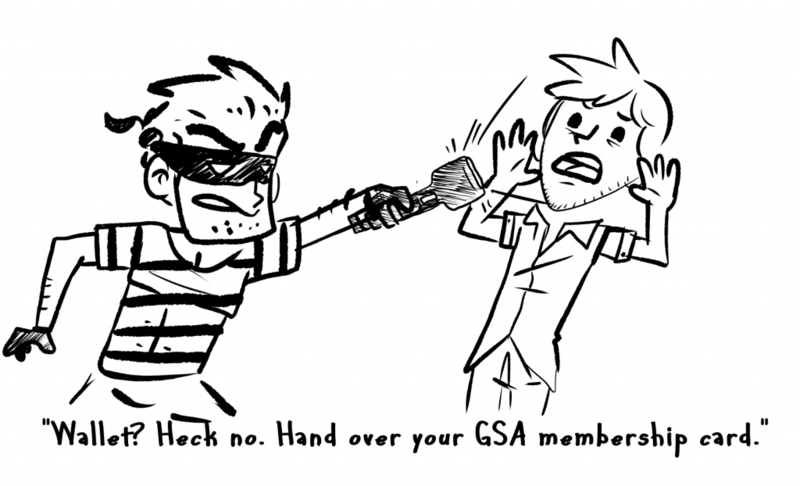 Here’s why you should get passionate about the GSA. The GSA makes genetics researchers scattered all over into a community of geneticists. Is there value in knowing that you belong to a group linked by common scientific interests and backgrounds? A group that often trained doing research on the same organism that you did, who knows many of the same people, who attends many of the same conferences? A microbiologist noted about his society: “this sense of belonging matters a lot to me, and to my mental well-being, no less” (Maloy and Schaechter 2015). Furthermore, for geneticists, the willingness of many GSA members to volunteer their time does a lot for our collective well-being. Our publications, GENETICS and G3, are peer-edited: review of your submission is handled by well-regarded practicing scientists. They decide if it’s appropriate for the journal and identify reviewers, evaluate the reviews, and render a decision, generally quickly: about 30 days, on average. Editors with knowledge of your field provide clear, helpful guidance for addressing reviewer comments. GENETICS and G3 editors devote many hours to make peer review run smoothly and effectively, because they’re passionate about the need for the genetics community to have first-rate journals run by active geneticists. Editors and staff are working to ensure that your concerns—whether about reproducibility, open data, preprint servers, or evaluating impact—are at the fore. The GSA has invested $500,000 to publish YeastBook, FlyBook and WormBook—the indispensable guidebooks for these organisms. Anyone studying one of these organisms appreciates these authoritative surveys of their biology and should be passionate about these online books, just as those who write and edit the chapters are. Consider our meetings, like TAGC. The logistics to bring together so much of our community requires the dedication of organizers to deal with everything from session topics and speakers to workshops and fundraising. Fundraising last year enabled us to provide over $100,000 in travel awards to 214 young GSA members. Our meetings feature education, mentorship, career development, bootcamps, and panel discussions with editors. Trainees who present a talk or poster at a GSA meeting—or benefit from these other activities—should be passionate about their experiences. The GSA advocates for geneticists with Congress and Federal agencies. One example: continued funding for model organism databases, stock centers, and other resources is threatened, and the GSA provides our collective voice, including position statements, discussions with NIH administrators, and participation at meetings with funders. Why do members of our Society write statements, lobby, attend meetings? Because they’re passionate about keeping these critical resources viable. In a time of rapid technological change, ever-shifting communication platforms and pay-as-you-go access, my arguments may not convince you to be a GSA lifer. So what more could we do for the genetics community that would make you eager to join GSA? And even more, what could you do in the Society to help us build a better community? I have some ideas, but I’d love to hear your suggestions. If you have one, tweet it, post it on our Facebook page or write to me (my last name at uw.edu). I’m passionate about making you passionate about the GSA. Maloy, S. and Schaechter, M. (2015) Being there. Microbe 10 (12): 496.